Think back to the first day you bought your Mazdaspeed. I’m sure for most people, it’s a day you’ll never forget. What was your first thought about the car? I know my first thought was, “What aftermarket parts can I install on my speed?” Let’s be honest, when it comes to the boost bug, the bug always gets you. One can’t simply own a Mazdaspeed and not modify it. It becomes an addiction, a way of life. If you’re like most Mazdaspeed owners, you can’t settle. You want to make sure you’re getting the best parts possible. So, where do you start when it comes to adding modifications to your speed? There are many ways to increase power with the Mazdaspeed platform, but finding the correct path can sometimes be a challenge! Once you’ve bought your Mazdaspeed and you’re looking for the correct path to take, there are some specific modifiers you want to make sure you do first. If you have a goal of making your speed a fully bolted machine, the first thing you want to do is upgrade the fuel pump internals. Everyone wants more boost, and with more boost comes the demand for added fuel. With that demand, you need to make sure your fuel pump pressure doesn’t drop below 1600psi. Some people can get away with doing big power modifiers without upgrading the fuel pump internals, but it’s highly recommended not to push your luck. A small investment to upgrade your fuel pump internals or drop the cash for a new motor because your fuel pressure dropped below 1600psi at WOT. Take your pick! The CorkSport Max Flow Fuel Pump Internals Kit is the safety net you need on your builds list. This kit adds up to 50% more fuel, which is perfect for people looking to get their speed fully bolted. Once you’ve installed the fuel pump internals, you’ll be able to safely reach horsepower numbers of around 350-380whp without any other modifications to the fueling system. Now that you’ve successfully upgraded your fuel system, you’re ready to start making some power. One thing to keep in mind when doing modifications, is that the ECU needs to recognize your added modifiers such as a FMIC, down pipe, full intake, or any other performance part that will increase hp/tq. There are a few ways you can do this, but using an AccessPort is the most popular tool used on the Mazdaspeed platform. Not only does the AccessPort allow someone to customize a tune based on modifications made, it’s also a great tool for monitoring different kinds of parameters as well as reading and clearing check engine light codes. You’re able to fully customize a tune for your car and make sure the car is running safely. Whether you want to have a fun street car or a full-out track car, the AccessPort is a must for any speed owner looking to add power modifiers. Now that you have the proper fueling, and an AccessPort to make tuning easy, you can do anything you want to your speed. With that being said, my next modification recommendation would be a full intake for your vehicle. Besides the fuel pump, the intake has one of the biggest restrictions for the turbo. Not only are there too many hoses running the stock intake, the turbo inlet pipe is designed flat like a pancake which chokes the turbo under load. By installing our stage II SRI, you remove the hoses, air box, and pancake turbo inlet pipe making the overall efficiency of the turbo much better. You may also see an increase in boost psi which is something we’re always trying to increase. After you’ve purchased and installed the intake, you will notice an overall increase in power and sound. A must-have for someone looking to start with a great power modifier. 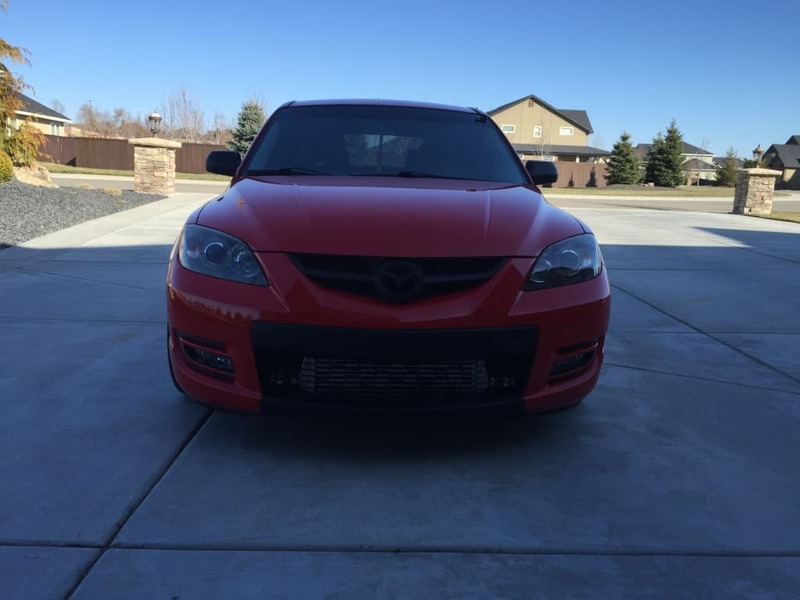 These recommended first mods would be considered the good, better, and best modifications to start with if you’re ready to start modifying your Mazdaspeed. With fueling no longer an issue, having a way to tune your car, and allowing the turbo to breathe, you will definitely start to notice a gain in power, sound, and overall love for your Mazdaspeed! Think back to the first day you bought your Mazdaspeed. I’m sure for most people, it’s a day you’ll never forget. What was your first thought about the car? I know my first thought was, “What aftermarket parts can I install on my speed?” Let’s be honest, when it comes to the boost bug, the bug always gets you. One can’t simply own a Mazdaspeed and not modify it. It becomes an addiction, a way of life. Luke! I installed the short shift kit you sold me last week. That was a great #firstmod, and although it didn’t add to power or sound, it did increase overall love for my Mazdaspeed. Your instructions were excellent and gave me the confidence to do the project myself. Win-win! I’d add a rear motor mount as a must have mod for the Speed3. If you accelerate or shift hard, you’ll need one. As you increase HP, it only gets worse.